May 4, 2015, 4:19 p.m. If you were asked right now to answer some questions about macular degeneration, would you be able to do so? If not, you’re not alone. Very few people know much about macular degeneration, despite the fact that it’s an extremely common eye condition that currently affects as many as 15 million Americans. Considering that this issue impacts more Americans than cataracts and glaucoma combined, macular degeneration is definitely one eye problem that we want all of our patients to be aware of. Macular degeneration is the #1 cause of vision loss in individuals aged 55 and older in the United States. This incurable eye disease occurs when a central portion of the retina begins to deteriorate. As this area in the back of the retina is damaged, a part of the eye called the macula loses its ability to focus in on the images our eyes usually perceive. The macula is what makes our sharp and detailed center field of vision possible; unfortunately, as it’s damaged we lose this clarity in our vision, and instead begin to see the world in blurry, distorted or dark images. As a result, many simple tasks – including driving, reading, and even recognizing faces or colors – become impossible to carry out as the disease progresses. How Does Macular Degeneration Present As It Develops? It’s important to note that because macular degeneration can present more slowly in some patients than others, it’s entirely possible for a patient who has macular degeneration to not experience vision loss until the condition is much more advanced. Other patients may find that their vision changes relatively quickly due to a quicker progression of the disease. In both cases, people who are suffering from macular degeneration may at some point experience visual distortion or blurriness in one or both of their eyes, particularly in their central field of vision. Over time, this blurry or distorted area may increase in size, or could even become a blank spot in someone’s field of vision. While macular degeneration will not lead to complete blindness, its symptoms – particularly the loss of central vision – are severe enough that they interfere with our ability to carry out daily tasks safely. Age: Macular degeneration is more likely to occur in patients who are over the age of 60 (although it can develop in any individual at any age). Race: Macular degeneration presents more often in Caucasian patients than patients of other ethnicities. Family History: Individuals with a family history of macular degeneration are more likely to develop the condition than people without a family history. Certain Lifestyle Choices: Research has shown that smoking doubles one’s risk of developing macular degeneration. Individuals who don’t exercise regularly or who fail to eat a healthy vegetable-heavy diet are also more likely to develop this condition. Are There Ways To Prevent Or Cure Macular Degeneration? While macular degeneration is considered incurable, patients with the condition can be treated with injections of medications, can take certain vitamins, and can use vision aids to help treat the symptoms of macular degeneration. In some cases, doctors have been successful in delaying the progression of macular degeneration, or even reversing some vision loss. The #1 key to treating and minimizing the impact of macular degeneration, however, is early detection. 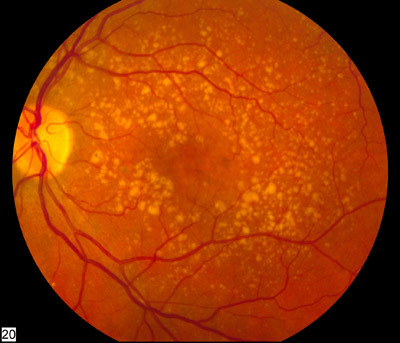 Since macular degeneration often begins developing long before vision loss symptoms develop, individuals with macular degeneration may not be aware that their retina is being damaged at first. Only with regular, complete eye exams can you be sure that you’re not suffering from some degree of macular degeneration. What Should I Do If I Experience A Vision Problem? If you begin experiencing vision problems between your examinations, you should call our offices immediately. Our staff will schedule patients on an emergent basis when they complain about changes in or loss of their vision. Once you’ve arrived at our offices, we can determine whether or not macular degeneration is the cause of your vision issues, and will begin recommending possible treatments based on our diagnosis. 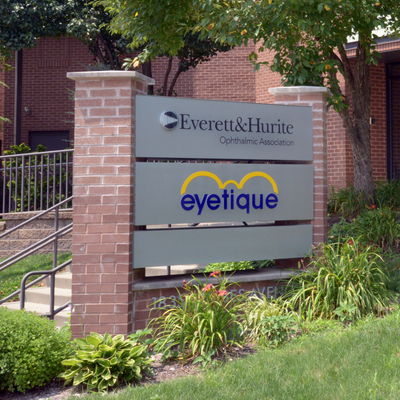 We also encourage patients to speak with their doctor at Everett And Hurite as needed to discuss any concerns they have about their eye health.